Our aim is to breed animals that are fertile under tight conditions and enable entry of progeny to Premium Branded products for high end local and export markets for ourselves and our clients. Steers are assumed to be finished using either grass, grass supplemented by grain or grain fed for 100+ days and able to be slaughtered at 700 kg live weight (380 kg carcase weight with 15 mm P8 fat depth and Aus Meat Marble Score of 2+) at 18 months of age (perhaps a little longer for grass fed). Daughters are retained for breeding and therefore maternal traits are of importance. Emphasis has been placed on eating quality and tenderness to favour animals that are suited to MSA requirements. 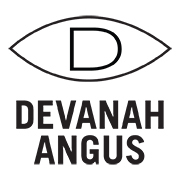 Devanah is an ABRI Breedplan recorded herd in order to assist with meetingthe above specifications. In addition to submission of weights at key times, we have all our yearlings scanned for carcase quality attributes and independently classed for temperament and structure. We have embraced Angus Genomics testing and also strategically test for known genetic conditions. Sale animals are also tested to ensure not persistently infected with Pestivirus. We calve in Autumn and aim to keep it tight as this best suits our environment allowing cows to be dry over hot summers.